Roots: I was born and raised in Dallas, but as they say got to Austin as quick as I could. I moved here in the 80s to go to The University of Texas and aside from a couple of years in Washington, DC and Paris, France ATX has been home. Family life: Tony and I met at a UT football game but post-college. We got married New Years Eve 1997 and have four kiddos – Will (15), Anna (14), Ellie (13) and Sarah (8). My favorite quote: I have so many favorite quotes, mostly because I love to read, but my current favorite is “You can’t be what you can’t see,” by a woman I admire greatly named Jo Saxton. The context of Jo’s quote is discipleship and how we need good role models to pave the way. I think of the women who have taught me so much, not by anything they’ve written or even said, but simply by how they live their lives. Something people may not know about me: I’ve lived in some interesting places — like Siberia where I learned to ice fish! And, a tiny village in France picking olives. I love to experience foreign cultures. For me it’s all about the people and how truly one we really are. A couple years ago, I had a big dream – this vision – of living in a community where neighbors knew and loved each other well. I knew a handful of our neighbors, but for the most part our interaction was limited to friendly waves from the car, brief chats at the grocery store, and our annual Memorial Day block party. The block party is a highlight of the year, but twelve months is a long stretch of time between neighborhood get-togethers. I felt a tug to open our doors wide and invite neighbors, friends, and even strangers into our lives on a more regular basis. But, as a busy mother with four children and an introverted husband, the how-to was a big question mark. At first I hesitated. But, I longed for more than an annual block party. I wanted real and meaningful relationships with my neighbors. I wanted to know their stories, hear their sorrows and troubles, and celebrate their joys. So, I took the dare! In October 2013, prompted by a last-minute party I was hosting, I ordered an unfinished picnic table from Lowe’s. I didn’t think much of the table when I ordered it online. It was just an ordinary picnic table. Until I saw it. And, I knew. The simple wooden picnic table was destined for our front yard. After the party, I painted the table bright turquoise (Sherwin-Williams Nifty Turquoise, if you’re wondering) and placed it under a magnolia tree, close to the edge of our lively street. That’s when life changed. The very day I put the table out front, someone who needed to get out of the house – a neighbor I’d never met – walked past and stopped to talk. We sat at the table and started a friendship. Next, curious people from across the street stopped by and stayed for a cup of coffee. By week three, both spontaneous and planned gatherings were happening regularly at The Turquoise Table. Now, two years later, The Turquoise Table has turned into a movement of Front Yard People – people just like you and me who want to create community right where they live. There are now countless turquoise tables in front yards across America, even as far away as Uganda. Want A Turquoise Table? We’ve partnered with ReWork Project — a non-profit helping those struggling with homelessness find a path to permanent housing through the dignity of work. These special turquoise tables are hand-made, painted, and delivered! To learn more and order a turquoise table, click here. What about you? Will you join the Front Yard People movement, too? For more information, visit my blog. This entry was posted in Friendship, Great Quotes, Real Women Real Stories, Relationships, Spirit and tagged A Meal with Jesus, austin, busy mother, creating community, discipleship, Francis Schaeffer, front yard movement, front yard people, good role models, ignite, ignite your life, Jo Saxton, kristin schell, love your neighbors, neighborhood get-togethers, ReWork project, the turquoise table, Tim Chester, University of Texas at Austin, You can't be what you can't see on February 25, 2016 by iGnite Your Life. Roots: I grew up in Long Beach, California, and graduated from high school and college in Las Cruces, New Mexico. I raised my 4 girls in Las Cruces, New Mexico and El Paso, Texas, and I moved to Austin 6 years ago! Family Life: I am married to John Simons, who helped raise my 4 grown daughters. Jenny, my oldest, has a career she loves as a high school librarian at a health sciences magnet school in El Paso. Although we all harass her to try to get her to move to Austin, I guess I can’t begrudge her the happiness she has found there. My daughter Liz and her husband Danny were my network for establishing myself in Austin. Thanks to daughter Melanie and Bear for the gift of sweet granddaughter Savannah. Most recent arrivals to Austin are youngest daughter Sheila, her husband Eric and my precious 10 month-old grandson Elijah. Work Life: I have been working as Family Services Manager for the Jeremiah Program. In this role, I serve as Empowerment Facilitator, Life Skills Coach and work with staff and volunteers to help complete the overall mission of the program: to transform families from poverty to prosperity two generations at a time. Through support for a career-track college education, safe and affordable housing, quality early childhood education, and empowerment and life skills training, Jeremiah Program prepares determined single mothers to succeed in the workforce, readies their children to succeed in school, and reduces generational dependence on public assistance. My favorite part of my role is having a front row seat, getting to watch the moms’ and their children’s lives in transformation. Prior to working at the Jeremiah Program, I spent 22 years in education as an Elementary classroom teacher and Instructional Coach. In my spare time, I spent two summers working as a park ranger. In an effort to help my daughter with pain from Juvenile Rheumatoid Arthritis, I also trained to become a licensed massage therapist. I’m most inspired by… Creativity inspires me, mostly that found in nature, but myriad artists as well. What I’m looking forward to right now… Our new campus for all things Austin Jeremiah! When I’m not working, you can find me… Pretending not to be working by playing with grandkids, cleaning house and gardening. My perfect day would be… A nice morning hike with a friend, an entertaining afternoon movie, play time with the grandkids, and dinner at a relaxing outdoor diner with great ambiance — which must include indie folk or blues music. Jeremiah Program is a nationally recognized nonprofit organization whose proven, holistic approach transforms families from poverty to prosperity two generations at a time. The program provides single mothers and their children with support for a career-track college education, quality early childhood education, a safe, affordable place to live, and empowerment and life skills training. I began working with Jeremiah Program in 2012 as a volunteer. Dazzie McKelvey (consultant and now national board member for Jeremiah) invited me to help her facilitate a class similar to our current Life Skills class. We led the group of 5 single moms, who have all since graduated from college! When housing for our first 4 residents was almost ready, I was hired part-time by Executive Director Shannon Moody to be the Family Services Manager. Lena (name changed for privacy) slid into the chair, squirming and nervous. Her body language spoke of that of a hurt child. When the meeting room door opened or someone nearby made a noise, she startled. She came to our 12-week Empowerment classes sharing as little as she could while still being considered engaged. She kept her head down and doodled whenever it was not necessary to look up. Upon completing the process of Empowerment, she shared that she had come to realize that the passive way that she had been accepting unhealthy relationships in her life, needed to change. 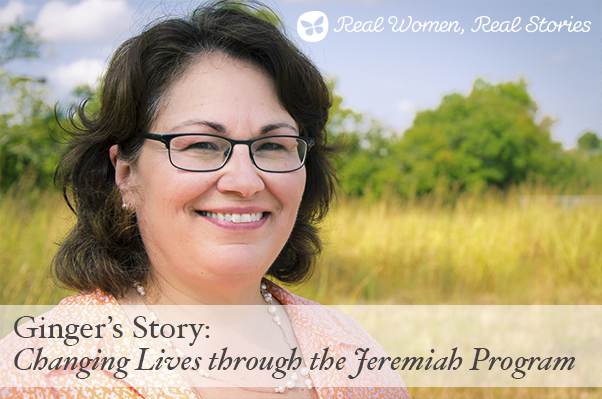 I am blown away by how much my own life has changed by being a part of Jeremiah Program. I abhor being perceived a hypocrite, so what I learn, I must also apply. I tell you, empowerment changes lives! It’s been a very internal thing, a dumping of emotional baggage, lightening the load and making way for better energy. Because I have the opportunity to facilitate empowerment classes, it keeps it fresh in my mind, prompting me to keep practicing and helping our participants to practice using empowerment tools. By doing this, I get front row seats to watch their lives become increasingly empowered. What an honor! There are currently 3 women in our Austin program, and approximately 8 women will begin Empowerment training next month. We will select our 4th participant from that group. 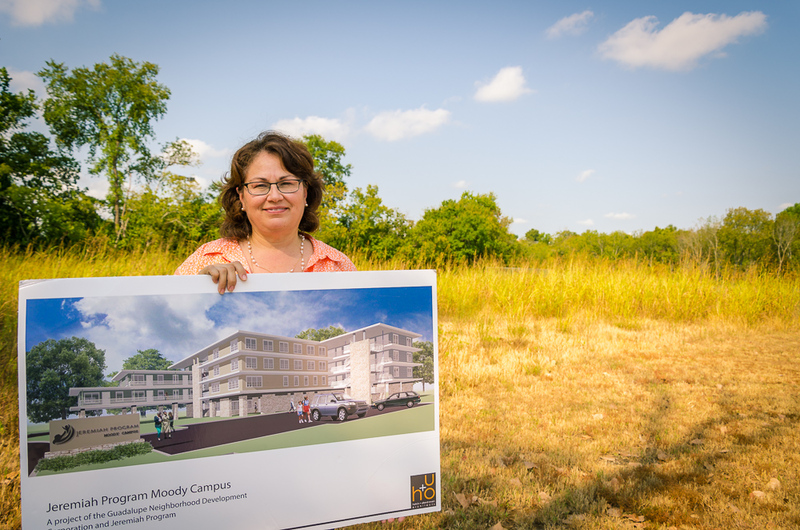 We expect groundbreaking to occur for our new Austin Moody Campus in the fall. Soon after, great strides will need to be made to recruit a large pool of applicants to find those who will be the best fit for our program. Once the campus is built, the facility will house 35 single women and their children, along with 4 duplexes housing another 4 families, giving us a total of 39 women in the program. 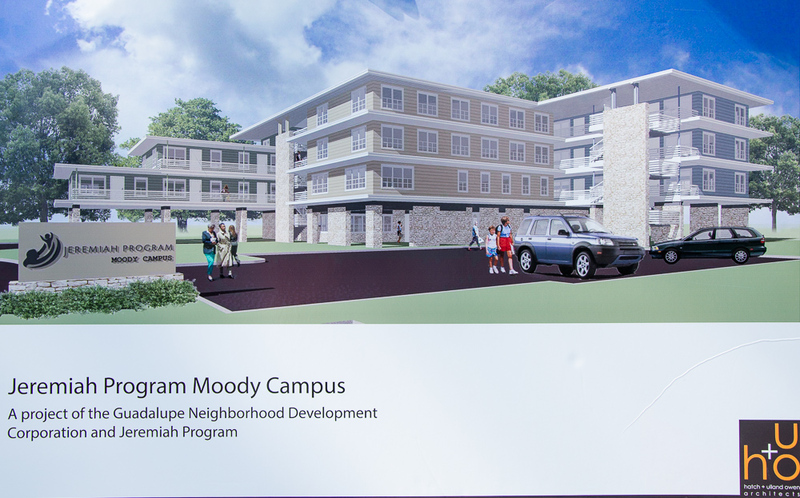 There will also be an onsite Child Development Center as well as community rooms, playground and staff offices. Join us on the iGnite Epic Battle Team today! Our current fundraising goal is $600,000, and our biggest need is general operating dollars. General Operating dollars are important because we can use these funds where we need them, when we need them. Epic Battle is not only an important fundraiser, but a key component in getting our mission message out to the public. Our focus of course has been on development and getting our permanent home built. The money for the campus structure has been raised, but there are still apartments, classrooms and meeting rooms to furnish. We cannot complete our mission without volunteers. They are a vital part of what we do. Currently, we have volunteers who help with Cooks for Kids, providing meals and child care while our moms attend Life Skills classes. Volunteers serve on committees, facilitate Life Skills and raise funds. When we have our main campus, our volunteer pool will multiply with each new group of women who enter our program. We will then have volunteers in the Child Development Center as well as ambassadors for meetings and greeters for the front desk. Also if you’d like to stay updated on developments and progress through our newsletter, our director of development, Lauren Portley would be happy to sign anyone up! She may be contacted at LPortley@jeremiahprogram.org. This entry was posted in Real Women Real Stories, Spirit, Stories That Inspire and tagged austin, Epic Battle, Ginger Simons, giving back, Hay Day, ignite, ignite your life, inspiration, real women real stories, the Jeremiah Program, volunteer, wellness, womens health on August 27, 2015 by iGnite Your Life.